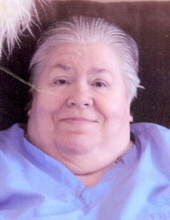 Shirley Morrison, 73, of Ogden and formerly of Boone, died July 14, 2018 at the Accura Healthcare in Ogden. Following her wishes, Shirley has been cremated and burial of her cremains will be in the Bethany Cemetery in Baxter at a later date. To send flowers or a remembrance gift to the family of Shirley Morrison, please visit our Tribute Store. "Email Address" would like to share the life celebration of Shirley Morrison. Click on the "link" to go to share a favorite memory or leave a condolence message for the family.